The TwinStar Credit Union Fraud Department is handling a near epidemic of fraud claims as a result of card skimming devices placed on area gas pump terminals. Thieves obtain credit and debit card numbers from TwinStar members and other bank or credit union clients, and then attempt to create new cards they can then use. Thieves are targeting gas pump terminals because the installation of chip enabled card readers was delayed for the auto fuel industry. You may recall that TwinStar (and other financial institutions) re-issued cards about two years ago with a small microchip embedded in the card. Now, cardholders insert their card into the terminal as opposed to swiping it wherever they are shopping and process their payment. Chip enabled cards have made card skimming schemes virtually impossible anywhere chip enabled readers are used. It is important to note that the rash of card skimming incidents is not tied to TwinStar ATMs, but mainly to gas station pumps that are not retrofitted with chip readers. Your family and friends who use other financial institutions should be aware of this situation as well. It is also very important to remember that TwinStar members are not liable for fraud conducted on their account because of card skimming incidents. Your neighborhood TwinStar branch location and the TwinStar Fraud area will work with you to recover anything that is lost. If you think you have been victimized, visit your local branch or call 800.258.3115 as soon as possible. Pay with cash. Yes, this often-overlooked form of currency cannot be part of a skimming scheme. Go into the gas station store to pay with your debit or credit card. Processing your payment as a “credit” eliminates the presence of a PIN, which makes quick theft from your account more difficult. Take a good look at the gas pump. 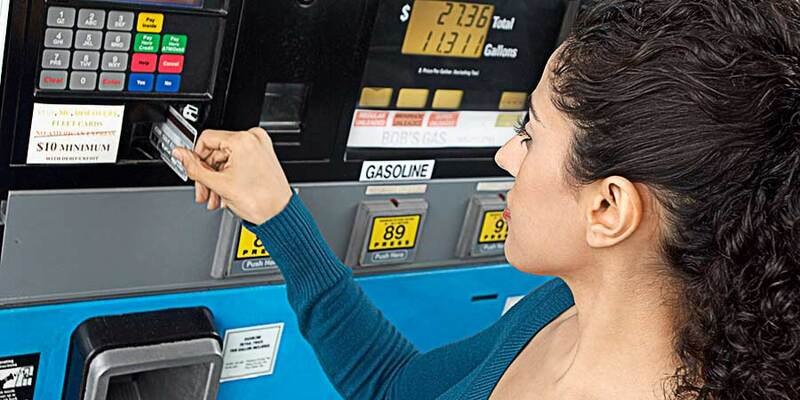 Make sure there is security tape over the key/entrance area to the inside of the gas pump. If there are any extra wires or electronic gadgets present, don’t use the pump. Download and use TwinStar’s Card Manager app. This smart phone program allows you to turn your card(s) on and off whenever you choose. You can also receive an alert anytime your card is used. There are several other useful functions inside Card Manager, click here to learn more and start your download. You can also follow this link to information published by the Federal Trade Commission in 2018. They are aware of the gas station skimming epidemic and compiled some excellent information to help you keep your transaction safe and secure. Please call 800.258.3115 to speak with a TwinStar Contact Center Agent if you have any questions.